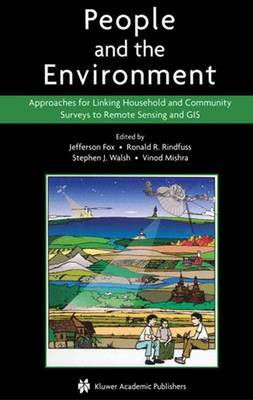 People and the Environment: Approaches for Linking Household and Community Surveys to Remote Sensing and GIS appeals to a wide range of natural, social, and spatial scientists with interests in conducting population and environment research and thereby characterizing (a) land use and land cover dynamics through remote sensing, (b) demographic and socio-economic variables through household and community surveys, and © local site and situation through resource endowments, geographical accessibility, and connections of people to place through GIS. Case studies are used to examine theories and practices useful in linking people and the environment. We also describe land use and land cover dynamics and the associated social, biophysical, and geographical drivers of change articulated through human-environment interactions.